In the first step, we usually invest around 100,000 Euros in the seed stage, and up to 500,000 euros in the early stage, nearly always with other co-investors. Our investments in more mature startups in the growth stage typically range from 500,000 to 2 million euros per financing round. Additionally, we are one of the few market players that also acquires ‘secondary shares’ of more mature startups from founders, business angels, and other early stage investors. The executive team of German Startups Group consists of an entrepreneur who has experienced the relationship between founders and investors from both perspectives and believes in the necessity of strong, self-dependent, and highly incentivised entrepreneurial teams. Our structure as an operative holding company enables us to act much more flexibly and with a more long-term oriented perspective compared to VC funds. For example, our investment decisions are not limited by fund periods, short investment timeframes, prohibition of majority stakes, constraints on ‘primary shares’, or specifically set investment guidelines. Our startups benefit in several respects. With our experience from several company foundations, numerous achievements in building up companies, the structuring of countless funding rounds, various exits of our own, and one successful IPO as well as two additional ones of our CEO’s former companies, we take an active part in increasing the shareholder value of the companies we invest in. Through our majority stake in the digital agency Exozet, we offer our portfolio companies access to an extensive range of services – from the realisation of complex web, iOS, and Android applications through the development of online marketing campaigns, strategic consulting on brand development, modifying business models, and selecting technology up to blockchain applications and ICO’s. In addition to venture capital, young entrepreneurs can access the theoretical and practical knowledge, wealth of entrepreneurial experience and long-standing contacts that are based on the mutual trust of the team of German Startups Group. We are looking for talented entrepreneurs with knowledge, courage, and passion, who create a highly scalable company based on a disruptive product or business model. Traction or revenues that are already verifiable are a plus. We also acquire secondary shares of the founders, business angels, and other early investors of more mature companies. 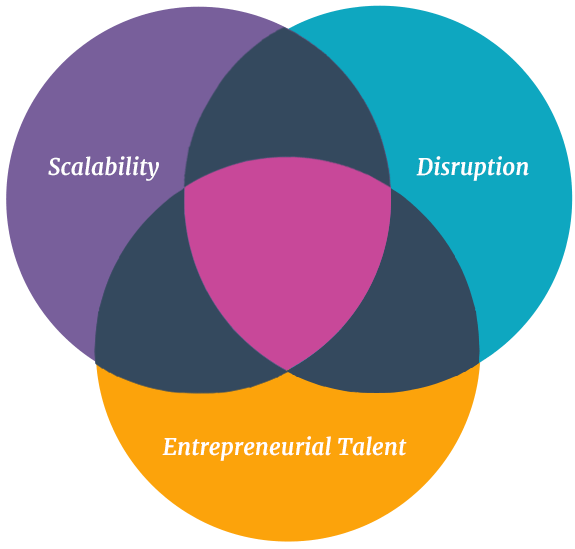 ARE YOU A PASSIONATE ENTREPRENEUR WITH A HIGHLY SCALABLE, DISRUPTIVE IDEA? CONVINCE US WITH YOUR PITCH!